The Islamist Websites Monitor, which focuses on the major jihadi websites, is a new initiative of MEMRI's Jihad and Terrorism Studies Project. It will be regularly releasing translated news, analysis, and videos from these websites. The URLs of the sites will be available upon request. On October 4, 2006, an Islamic website published an interview with the dean of the Shari'a Academy of America in which the latter avoids condemning the terrorist attacks of September 11, 2001, instead, depicts those who carried out the attacks as "brave geniuses" and suggests that they should be esteemed. According to him the attackers were not terrorists, but rather people who, by their actions, "took revenge or claimed [their] right." America should not expect people which it provoked to sit idle and not respond furiously to its provocation, he claims, adding that "What transpired in America stems, most importantly, from America's support to the Jews…a fact that infuriated many [Muslims]." 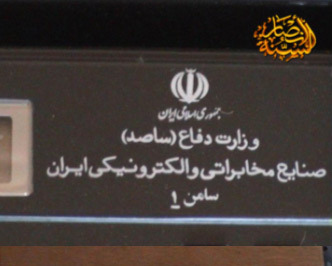 On September 28, 2006, a group identifying itself as Jama'at Ansar Al-Sunna announced, via Islamic websites, that it had obtained evidence proving that Iran was supporting Muqtada Al-Sadr's army in Iraq. According to the group, a few days prior to September 28, mujahideen from Ansar Al-Sunna had come to the rescue of the Sunni residents of Khan Bani Sa'd, a small village east of Baghdad, who were attacked by Al-Sadr's army Jaysh Al-Mahdi. 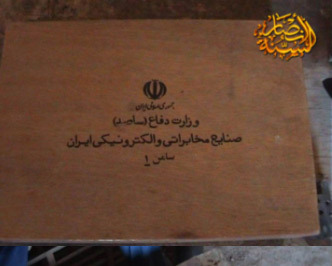 When the latter retreated they left behind electronic devices and weaponry bearing the official emblem of the Islamic Republic of Iran, which, according to the source, "constitute proof of Iran's direct support of the Shi'ites in Iraq." 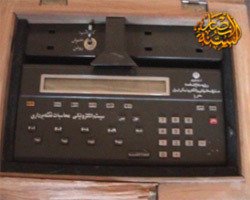 The message contains photos of the devices (below), clearly showing the official emblem of Iran. On September 23, 2006, an organization identifying itself as The Lions of God's Unity (tawhid) announced, via Islamic websites, that its members had intercepted in Iraq several Shi'ites of Indian and Pakistani origin on their way to Syria. Upon interrogating them, the organization's members learned that the travelers had been sent on a special mission to the forces of Muqtada Al-Sadr and were now on their way home via Syria. The announcement ends with the following warning: "He who wishes to enter Iraq to cooperate either with the American forces or with the Iraqi government should know that the mujahideen hold observation posts and will sentence him to death…"
 According to the Academy's website, its Dean is Dr. Al-Sayed Al-Seely, http://www.shariaacademy.com/spage.php?id=pHE.